The problem is that there is something wrong and the first thing wrong is that someone was told that there is nothing wrong, when they have only had very basic testing done. The second thing wrong is that most of these women are not being referred onto an appropriate specialist, which is what good sound ethical practice is. This is why some conditions like PCOS are taking up to 3 years to be properly diagnosed and conditions such as endometriosis are taking up to a decade to be properly diagnosed. It just should not happen. I can’t begin to tell you how many women I have seen over my years in practice, that have been told that there is nothing wrong with them, or that the practitioner hasn’t found anything, when really all they have done is a basic scan and a few random blood tests. Then when these women are properly investigated we end up finding all manner of issues. Yet, these women were told that there is nothing wrong. All I can keep telling people is that while ultrasounds can find some causes of gynaecological issues, there are many issues they cannot find. It also depends on the technician, or person scanning you too. I know that there are not that many specialised gynaecological radiologists and this is why many things do get missed. I have viewed scans that show abnormalities and the report says that everything is fine. This is why I will only ever read scans and not just reports. Gynaecological issues such as endometriosis cannot be diagnosed by ultrasound and can only be diagnosed by surgical intervention, in the form of a laparoscopy and with histology. Then, as I have said many times too, it all depends on the surgeon you have seen. If your surgeon isn’t an advanced trained laparoscopic surgeon there is a very good chance you may not have been investigated properly. I have mentioned this in many of my previous posts. Even some cysts, PCOS, polyps and other masses can be missed on scans and let’s not even talk about blood tests. Sure, some hormones levels can be a pointer to a certain issue, but they are not an accurate diagnostic. To be completely honest, many women with serious gynaecological issues will have normal hormonal levels and have completely normal blood results. This can even happen in certain cancers and why some of the cancer markers are now not being used as definitive diagnosis. I can tell everyone that I have seen many gynaecological issues being missed, and women being dismissed over the years, and it still happens on a daily basis. If you have menstrual issues, or are in pain daily, or just with your menstrual cycle, and you are being told everything is fine, then you need to get a second opinion and a referral to a good specialist. Could you have PCOS and not know it ? 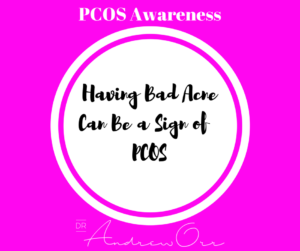 Nearly everyday I get young teenage girls, or women in general, coming to my clinic with bad acne and/or menstrual issues only to be diagnosed with PCOS. For many this is a shock, because they have seen multiple doctors, natural medicine practitioners and even medical specialists whom have missed this very common gynaecological/endocrine/reproductive disorder. The problem is many are unaware of the long-term implications on their health and their fertility. So instead of doing a long post of what PCOS is and how to treat it etc, I am just going to do up a short post about what the signs and symptoms are and if you have 1-2 of the symptoms, there is a big possibility that you actually have PCOS. Of course you need to come and see someone who specialises in PCOS, like myself, to help you have it confirmed, but we do need to bring about more awareness about this very common gynaecological/endocrine/reproductive disorder that affects many women around the world. All these are common signs that you may have PCOS and you only need to have 1-2 of these symptoms to have it. Some may have all the symptoms while some may just have acne and a cycle that isn’t completely regular. 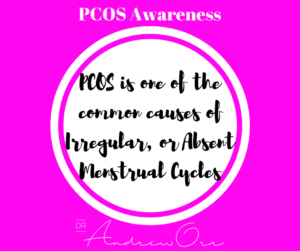 If you do have any of these signs, you do need to book in and see someone like myself, who specialises in knowing how to diagnose and treat and manage PCOS properly. Acne is a big pointer to PCOS and often what people come to get treatment for, not realising that actually have a gynaecological/endocrine/reproductive issue. PCOS is known to be a hereditary disease, but, we also know that diet, lifestyle and stress can be a big part of this disease state developing too. PCOS can have long term affects on your fertility and can also lead to diabetes and other health complaints, therefore it is so important to get early treatment and early intervention. Lastly, please know that period pain and bad ovulation bad is not normal not matter what anyone tells you. Polycystic Ovarian Syndrome (PCOS) is a hormonal/endocrine/reproductive issue and is on the rise due to unhealthy food habits, low physical activity and high stress levels, a new study has found. It has long been known that insulin resistance and poor dietary and lifestyle habits increase the risk factors for developing PCOS. While being overweight is a risk factor for PCOS, women can be of any body type and still develop PCOS. Women of all body shape can still have poor dietary and lifestyle habits and this is every increasing in our modern world. 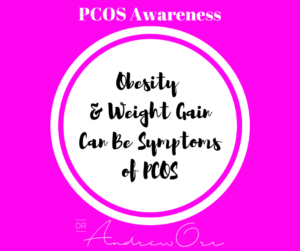 Increased refined foods, increased refined grains, increased refined sugars and a sedentary lifestyle are big factors in developing PCOS and also other health conditions such as Diabetes and Heart disease. We also know that high stress levels can lead to high cortisol levels and high inflammation in the body and then also be drivers of PCOS and many of the conditions that go with this disease state. A recently concluded study published on the 12th January 2019, has revealed that uncontrolled or untreated PCOS can raise the risk of diabetes, heart disease and infertility. 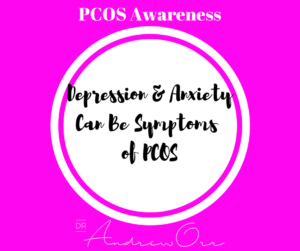 It has also been concluded that psychological issues such as anxiety and depression can also be the consequence of untreated PCOS. This study fits in with many other recent studies and has prompted changes to PCOS guidelines. The study was conducted on two groups — one group of 150 patients with untreated/uncontrolled PCOS and the other group of 150 women who had controlled PCOS. The study found that those affected with PCOS followed a poor lifestyle, consumed excessive junk food, had no or low physical activity, more intake of refined carbohydrates and high stress levels. The study also discovered that there was lack of awareness among the affected women and about 40 per cent were seeking information online. This is a major cause of concern as there is a lot of misinformation on the internet and this is leading to women trying to self-diagnose and go off recommendations of friends and internet groups, rather than healthcare professionals who specialise in this area. During the study, one group was taking probiotics along with maintaining good lifestyle, while the other group was only maintaining good lifestyle. While both groups showed improvement, the group taking probiotics had additional improvement. Good gut health and restoring the microbiome is something that I have always promoted in women, not only with PCOS, but other gynaecological/reproductive issues as well. New research has shown that healthy levels of good gut bacteria not only help with restoring the microbiome and gut and digestive health, but also help with reducing inflammation, helping with a healthy immune system and helping with psychological health and wellbeing as well. Women with PCOS need to be properly diagnosed first and then treatments require a multimodality approach with diet and lifestyle interventions as well. 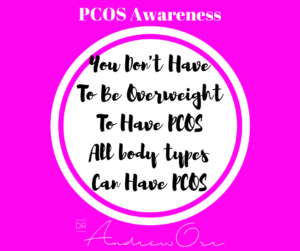 Women with PCOS also need to be properly monitored and managed by a healthcare professional and not go off self-diagnosis and recommendation of untrained people. 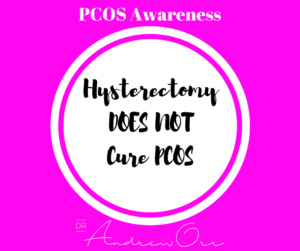 The long term consequence of mismanaged, or unmanaged PCOS can be damaging on many levels many patients are not aware of this. 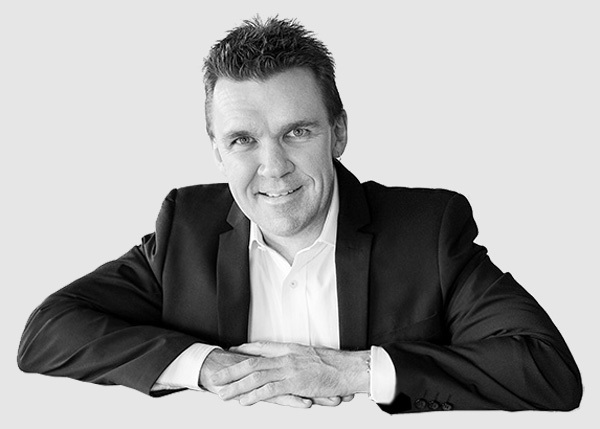 The problem these days is that everyone wants a quick fix, or a magic pill, and when things don’t seem to be working, they get impatient and either change treatments, or opt advice from untrained people, or friends and this can be very dangerous. While self-education is very important, self-management can also be detrimental as conditions such as PCOS requires constant motivation, guidance and proper healthcare management. This was also highlight as part of this recent study. The study also highlighted that the top 3 issues with PCOS were irregular periods, hirsutism and weight issues. Irregular periods, or absent periods affect about 7 in 10 women with PCOS. 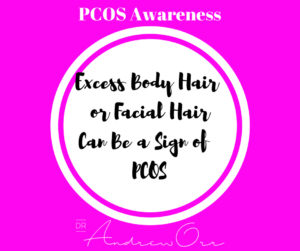 Hirsutism or the extra hair on face or other parts of body are seen in 70 per cent cases, while 70 per cent to 80 per cent of women with PCOS are either overweight or obese. But, women of all body types can have PCOS so this also needs to be noted. Many women put off being investigated for symptoms of PCOS because they believe they need to be overweight to have this condition. 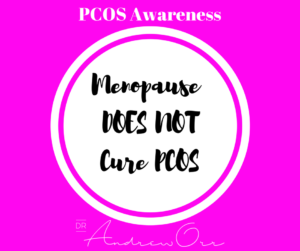 There also older healthcare practitioners who still believe this to be the case and this is why it often takes up to 3 years for a woman to be properly diagnosed with PCOS. There are also other symptoms of PCOS that are often overlooked. Acne, dark patches on the skin on back of neck and others areas, skin tags, hair loss, anxiety, depression, difficulty in getting pregnant, recurrent miscarriages and sleep apnoea are other symptoms that a woman may have PCOS. Besides the known factors such and diet and lifestyle, the study highlighted that many women with PCOS suffered in ignorance and isolation. Many women with PCOS are often take up to 3 years to be diagnosed and many are misdiagnosed on the way. 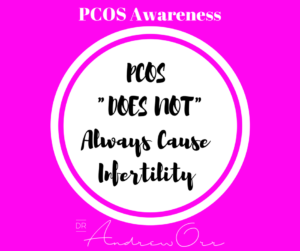 The study also showed that many women with PCOS were unaware of the long term fertility and health consequences, and many hardly have any information given to the about this disease. Many women with PCOS are dependent on internet, friends, other people with the disease etc, as their main source of information. The study also showed that while routine treatments for PCOS are needed, they can be expensive and less effective than proper dietary and lifestyle control. Poor diet and lifestyle and increased stress levels are a major reason for the rising prevalence of the disease. In the study diet and lifestyle changes had a comprehensive impact in controlling other health problems like insulin resistance, diabetes, and hypertension. When women were overweight, or obese, and they reduced body fat, there was also improvement in the symptoms and their testing reports. Probiotic supplementation also had an overall additional benefit in reducing the abdominal fat, LH:FSH ratio, total testosterone, LPS level, menstrual regularity and also preserving the gut and digestive function. The addition of probiotics to any treatment regime for PCOS needs to be looked at as it could be a new PCOS treatment modality in future. There are many things women can do to help PCOS and the associated symptoms and the short term and long term health consequences of the disease. While diet and lifestyle interventions needs to be part of this and is the number one treatment for PCOS, women with PCOS do need to be carefully monitored by a qualified healthcare practitioner. This then ensures proper care, management and also accountability and also ensures the disease in properly monitored along with any other changes in symptoms. It also helps with monitoring future fertility and future health issues as well. If you do need help in the treatment, management, or even diagnosis of PCOS, please give my clinic a call, or please a healthcare professional who specialises in PCOS. It is so hard to keep up with all the special calendar events at the moment. We have PCOS Awareness Month and we also have Women’s Health Week from the 3rd of September until the 7th of September. What I have been able to do for this special month is to be able to offer women a special discount on a product for those trying to conceive and it can also be used for those not trying to conceive. 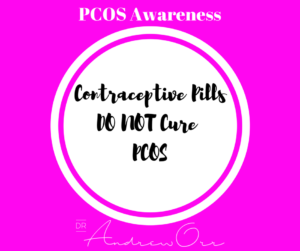 Because we are talking about PCOS awareness, which can affect ovulation, and we are talking about Women’s Health this week, ovulation and knowing when ovulation is occurring is very important for women who are in their fertile years. Many ovulation detection devices are very inaccurate and temperature charting has been shown to only be around 42% accurate (unless you see a qualified natural fertility planner). The most reliable way to check ovulation is via Follicle Tracking done with your gynaecologist (which involves scanning and tracking your follicle development via ultrasound). This offers around a 99% accuracy rate. But there is ovulation detection device called the Daysy, that the company boasts as having a 93% accuracy rate for detecting ovulation and some of their studies show that it may be as high as 96%. If that is the case, this is something that may help women who want to consider to help track ovulation for pregnancy and contraceptive purposes. For Women’s Health Month the makers of Daysy have kindly offered my patients and people on my page a 15% discount when they use a special promotional code. After Women’s Health Month, the discount will be 5%. I’ll add all the details in an upcoming post. This may assist those who want to track their cycle and do things naturally.